Todd Rundgren Announces ‘The Individualist’ World Tour Presented By SiriusXM – Cleopatra Records, Inc.
Current Rock & Roll Hall of Fame nominee Todd Rundgren will be embarking on the world?s first hybrid concert/book tour this spring, highlighting both his hits as well as ?deep tracks? spanning his 50-year career. Rundgren?s long-awaited autobiography, The Individualist: digressions, dreams and dissertations, is being released by Cleopatra Press on December 21, documenting his life through his 50th birthday. The concert set list will mirror that time period, consisting of song selections from the inception of his musical career through 1996, with intros & stories behind the songs and Rundgren?s impressive career. Citi is the official presale credit card of the Todd Rundgren ? The Individualist Tour. As such, Citi cardmembers will have access to purchase presale tickets beginning Tuesday, December 4th at 10AM local time until Sunday, December 9th at 10PM local time through Citi?s Private Pass program. For complete presale details, visit www.citiprivatepass.com. TODD RUNDGREN ?THE INDIVIDUALIST TOUR? Born and raised in Philadelphia, Rundgren began playing guitar as a teenager, going on to found and front The Nazz, the quintessential `60’s psychedelic group. In 1969, he left the band to pursue a solo career, recording his debut offering, the legendary Runt. But it was 1972’s seminal Something/Anything?, on which he played all the instruments, sang all the vocal parts, and acted as his own producer, that catapulted Todd into the superstar limelight, prompting the press to unanimously dub him ‘Rock’s New Wunderkind’. It was followed by such landmark LPs as The Hermit of Mink Hollow and the above mentioned A Wizard, A True Star, as well as such hit singles as ?I Saw The Light,? ?Hello It’s Me,? ?Can We Still Be Friends,? and ?Bang The Drum.? 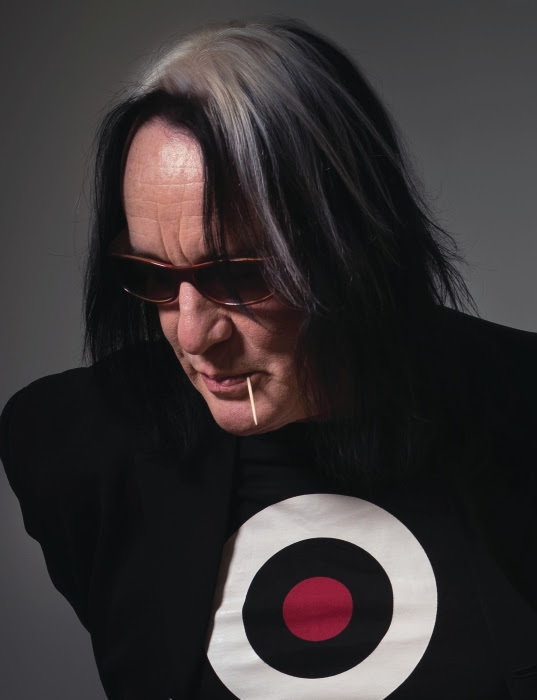 In 1974, Todd formed Todd Rundgren?s Utopia (renamed and reconfigured in 1976 as Utopia), an entirely new approach to the concept of interactive musicianship, and embarked on an extensive round of touring and recording. Standout Utopia offerings included Oops! Wrong Planet, Adventures in Utopia, and Oblivion. Along the way, Todd Rundgren?s Utopia combined technical virtuosity and creative passion to create music that initially, for millions, defined the term “progressive rock?, and subsequently, as Utopia, the term ?powerpop.? Rundgren’s myriad production projects include albums by Patti Smith, Cheap Trick, Psychedelic Furs, Meat Loaf, XTC, Grand Funk Railroad, and Hall And Oates. Rounding out his reputation as rock’s Renaissance Man, Rundgren composed all the music and lyrics for Joe Papp’s 1989 Off-Broadway production of Joe Orton’s Up Against It (the screenplay commissioned by The Beatles for what was meant to have been their third motion picture). He also has composed the music for the hit film Dumb and Dumber, as well as a number of television series, including Pee Wee?s Playhouse and Crime Story. In 2012 Rundgren performed his iconic 1973 album A Wizard A True Star in concert in its entirety for the first time ever, and several years later did the same with a double bill: Todd & Healing. He has toured with Ringo Starr as an erstwhile member of the All-Starr Band since 1989, and continues to perform with symphony orchestras both domestically and internationally. His latest studio album, White Knight, was released last May, and this past spring he toured North America with original Utopians Kasim Sulton and Willie Wilcox for the first time in 33 years. His long-awaited autobiography The Individualist, will be in stores December 21. He embarks on the world?s first hybrid concert/book tour this coming April/May, highlighting music across his 50-year career.
? 1978: The first interactive television concert, broadcast live over the Warner/QUBE system in Columbus, Ohio (the home audience chose each song in real time during the concert by voting via QUBE?s 2-way operating system).
? 1978: The first live nationally broadcast stereo radio rock concert (by microwave), linking 40 cities around the country.
? 1979: The opening of Utopia Video Studios, a multi-million dollar state-of-the-art facility. The first project produced by Todd there is Gustav Holst?s The Planets, commissioned by RCA Selecta Vision as the first demonstration software for their new videodisc format.
? 1980: Creation of the first color graphics tablet, which was licensed to Apple and commercially released as The Utopia Graphics Tablet.
? 1981: ?Time Heals,? the first music video to utilize state-of-the-art compositing of live action and computer graphics (produced and directed by Todd), becomes the eighth video to be played during the launch of MTV on August 1, 1981.
? 1982: The first live national cablecast of a rock concert (on the USA Network), simulcast in stereo to over 120 radio stations.
? 1982: The first two commercially released music videos, one of which was nominated for the first-ever Grammy awarded for ?Best Short Form Video? in 1983.
? 1992: The first commercially available music downloads via CompuServe.
? 1993: The release of No World Order, the world?s first interactive record album on CD-i.
? 1994: The release of The Individualist, the world?s first full-length Enhanced CD.
? 1994: The world?s first interactive concert tour.
? 1998: Launches PatroNet, the world?s first direct artist subscription service — predicts that someday “music will be sold by the pound”.
? 2016: The production of the world’s first full length concert shot with multiple Virtual Reality 360? cameras.